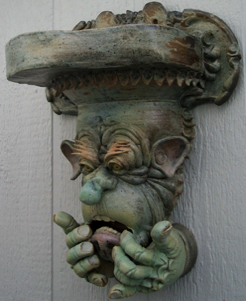 There is a variety of possible explanations for the image of a cheek puller or mouth puller. 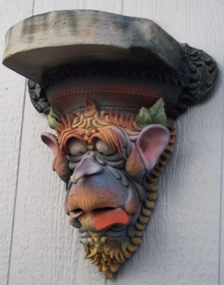 One such explanation is that cheek pulling was a popular pastime in medieval Europe, existing into modern times. 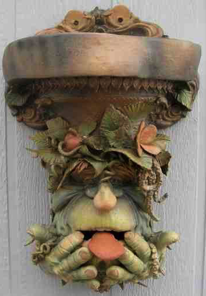 The extended tongue was believed to ward off evil! 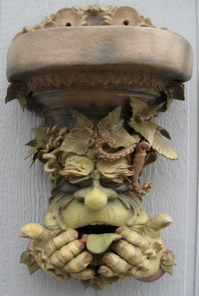 Some other accounts offer a more sinister explanation attributing the image to be one born by gluttony. 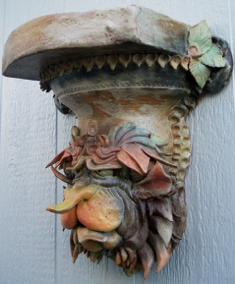 Corbels are variations of the mouth puller but are derived from a style of ancient architectural adornment. 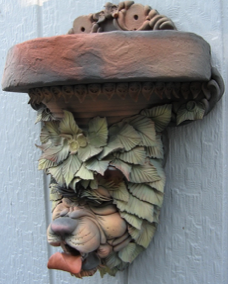 Corbels and Mouth pullers can be used as wall mounted decoration for your "garden room" or supports for shelves or potted plants.These are not intended as bird houses but plain corbels. 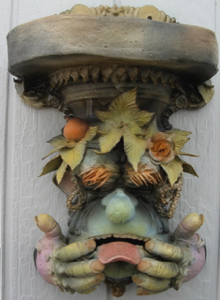 Without the hands stretching the mouth, Corbels can be adapted, upon customer request, to accommodate birds. 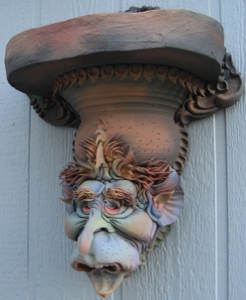 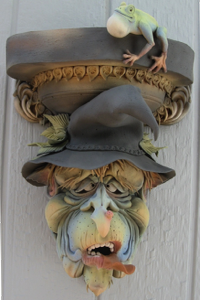 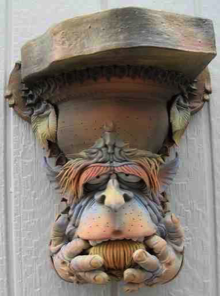 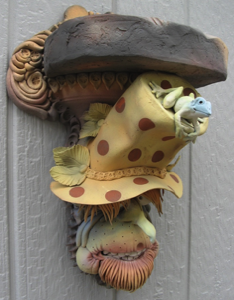 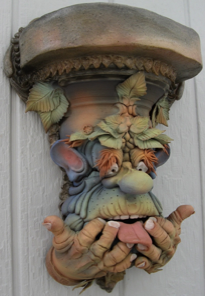 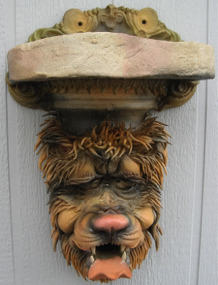 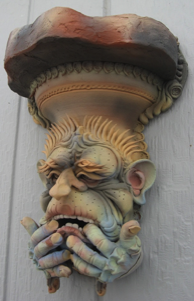 No matter what the actual meaning, mouth pullers and corbels offer an intriguing and fanciful addition to your garden. 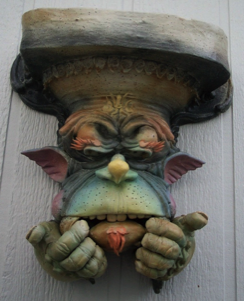 It is preferred that, unlike Bird GarglersTM, corbels and mouth pullers not be duplicated unless under special circumstances. 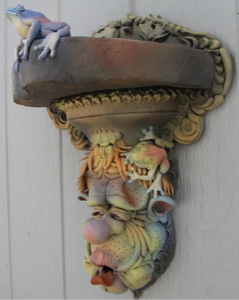 It is more special to have a new, different, and unique one made each time.